Check it out! 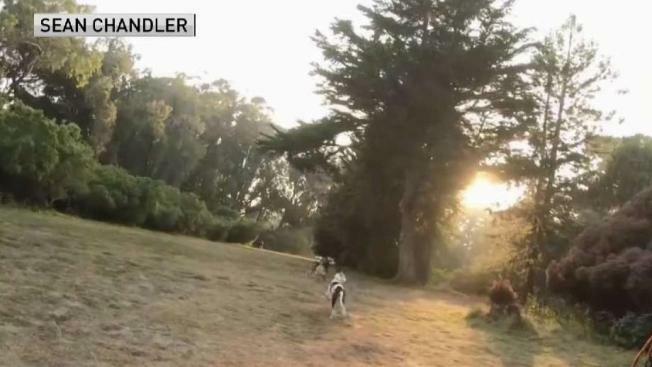 A coyote decided to get in on the action as three dogs played in Old Speedway Meadow at Golden Gate Park Wednesday night. On the lookout for their own territory, young coyotes are venturing out, wildlife experts say, and in San Francisco, that can lead to some close encounters. That has prompted an educational effort to help ease fears and keep the encounters safe. Recently, a coyote was caught on camera wandering through the University of San Francisco campus. Some say the wild animal is a regular, spotted nearly every day. San Francisco Animal Care and Control says there are a few dozen coyotes in the city. 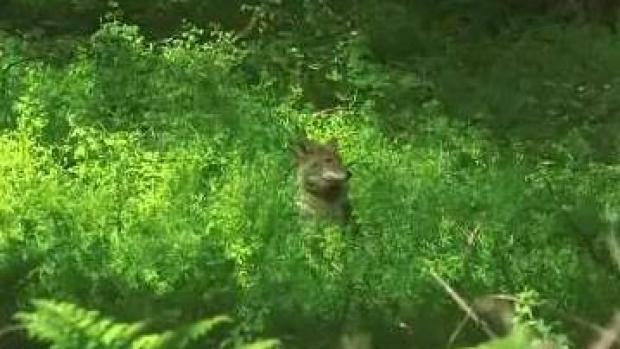 It held a meeting Thursday night to let people know what to do when they encounter a coyote because some are about to become more visible. On the lookout for their own territory, young coyotes are venturing out, wildlife experts say, and in San Francisco, that can lead to some close encounters. Jean Elle reports. "We're getting right now into dispersal season," said Virginia Donohue. "Expect pups to leave the den." The Presidio Trust tracks it's coyotes. It says since it started the program, every tracked coyote that left its den has been hit by a car. Researchers are urging people to slow down. They also want to reduce coyote and dog confrontations, so they are encouraging dog owners to carry noise makers and to use neon collars with bells to scare the coyotes away. And they advise keeping dogs on a leash. Dog walkers in Buena Vista Park say coyotes live there. They even have their own Facebook page. Resident Scott Seeley says he has only had one slightly aggressive encounter. "We came across a coyote pulling a vole out," Seeley said. "He hissed, he pulled the vole out and took off." Warning signs have been posted in the area. Seeley applauds the effort to educate people about how to live with the wild animals. "I think it's probably more sensible to manage our behavior than theirs," he said.